I'll list out what I think are semi-accurate locations of where to get the new rare items. 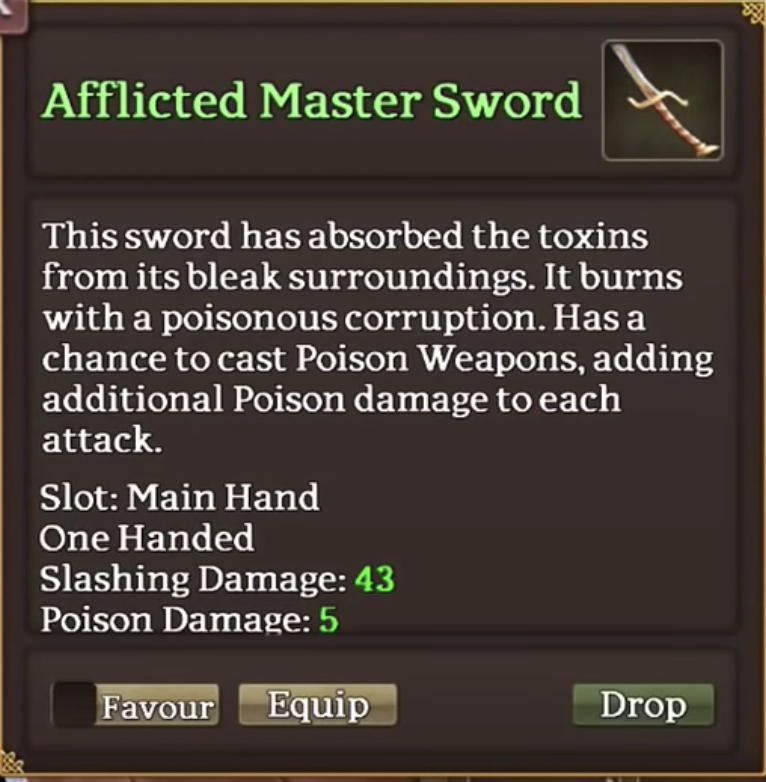 Hypothesis based solely on item description, picture, stats, and in-game lore. Some have been confirmed, some are purely speculation. Whatever has been confirmed as a drop will be marked as such. 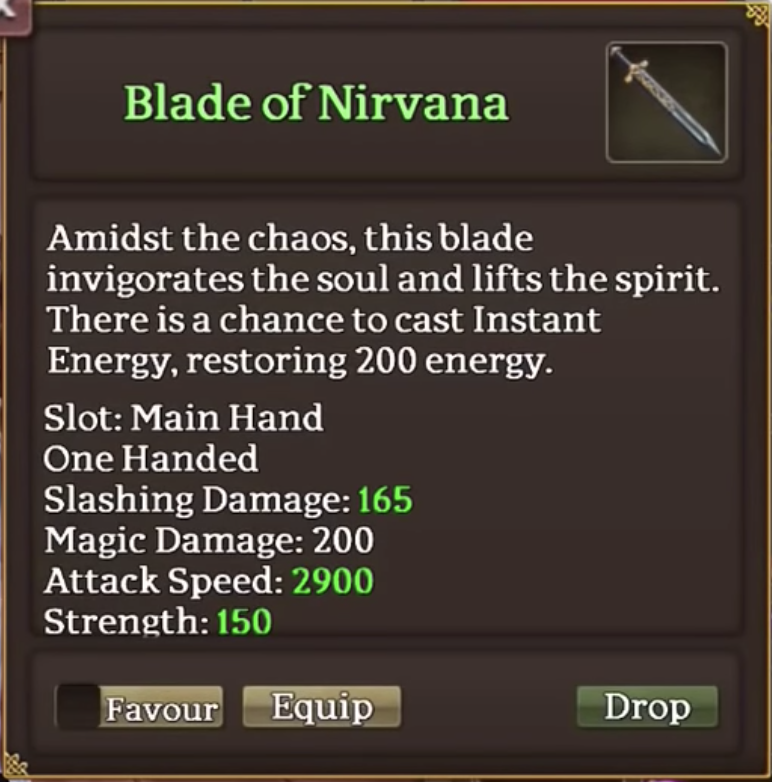 We are noticing a few of these items are dropping from chaos aura enemies. 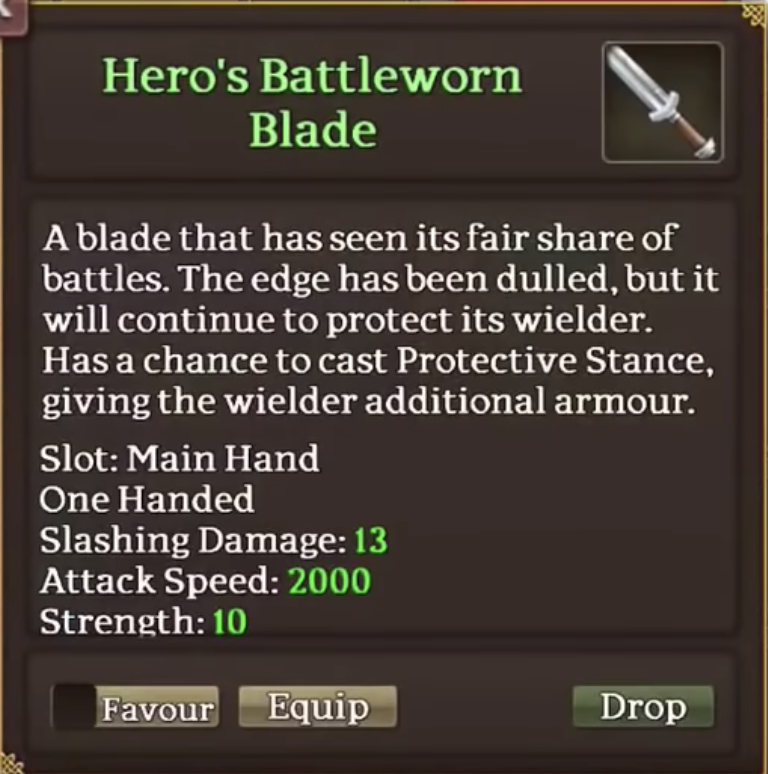 Watch his video to see the full stats on these items. 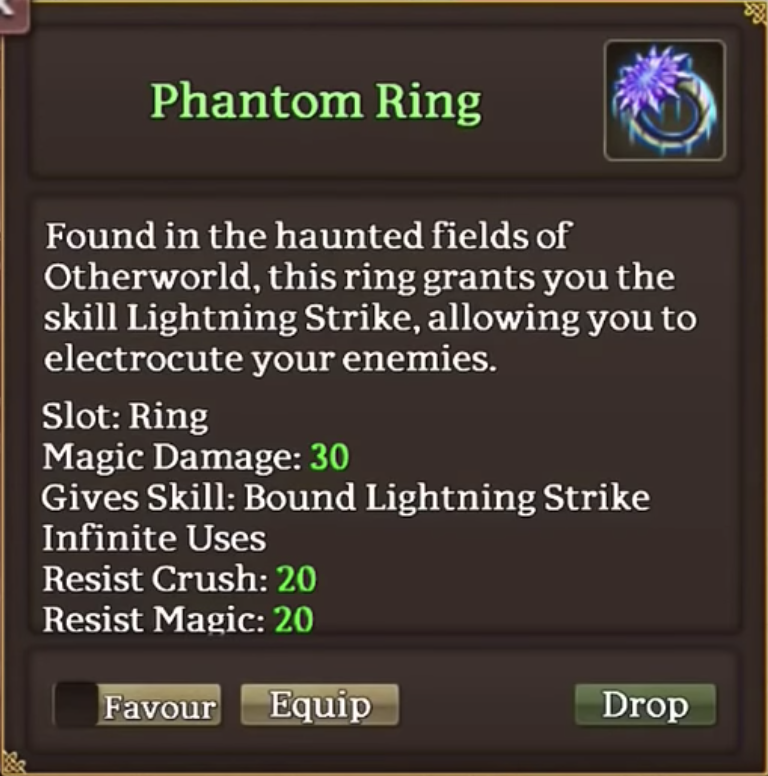 Seems to drop from a 4* Lich near the Lich boss area. 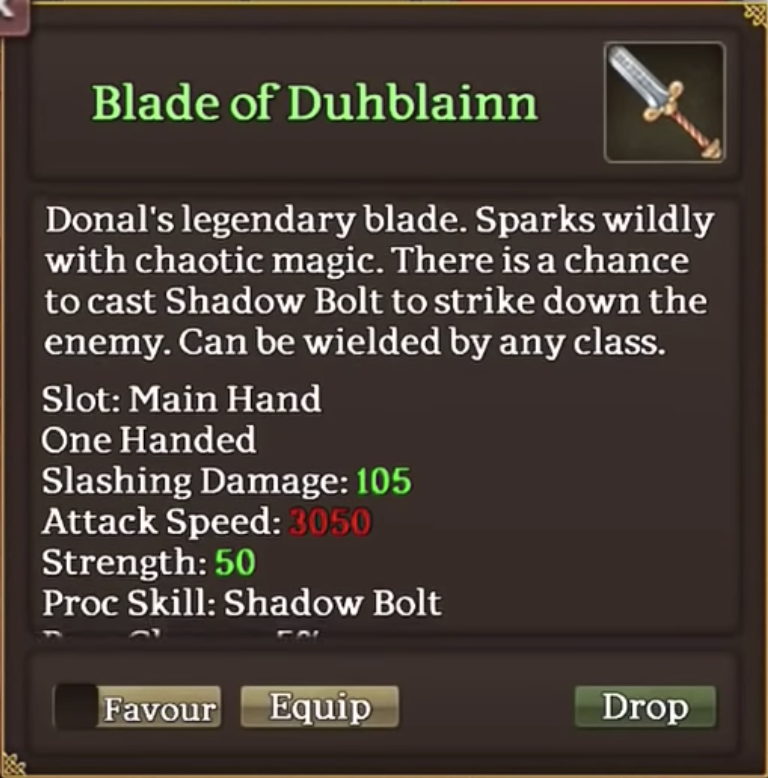 Seems you can also get them from some enemy in stonevale. Drops from a rare spawn 5* level 25 Cadaver in the Death's Caress area of Dustwither..
Drops from a rare spawn 5* troll in the Mord pit middle area. These drop from a rare spawn 5* bear in Stonevale. It seems any of those higher level black color bears have a chance to spawn it. These drop from a random-spawning level 196 5* wizard in alchemical quarters. It spawns in the looped hallway surrounding 195 EDL room. I think any wizard in that hallway has a chance to spawn it, but so far I've only heard of drops from the wizards in the bottom two corners.. These drop from rare spawn Dragoncultists in Agg pit. These drop from Gelebron sentinels. 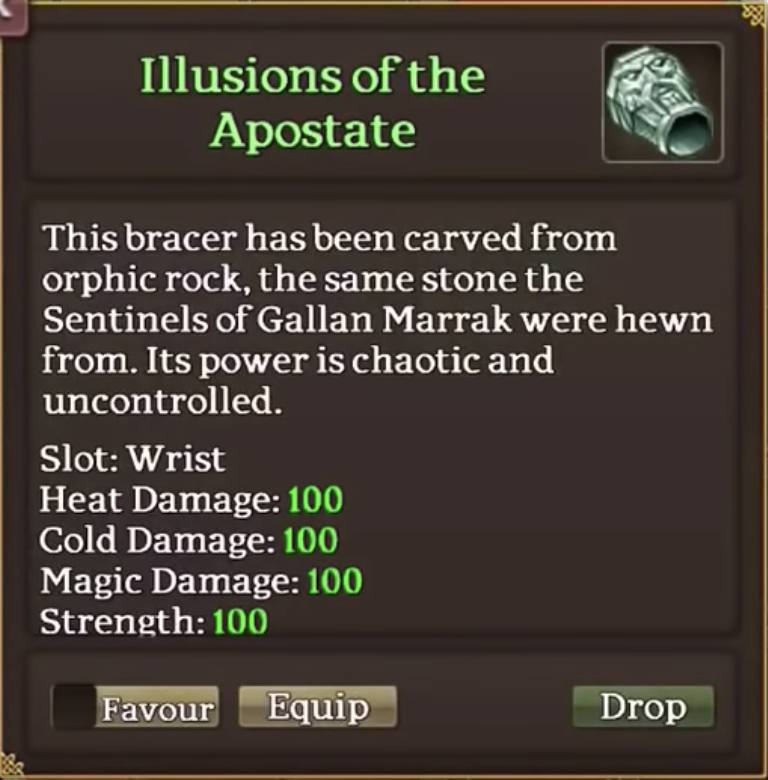 This drops from a rare Blackstone NPC in the otherworld. It spawns in the small corner in the wall a bit south of where Chained King spawns. 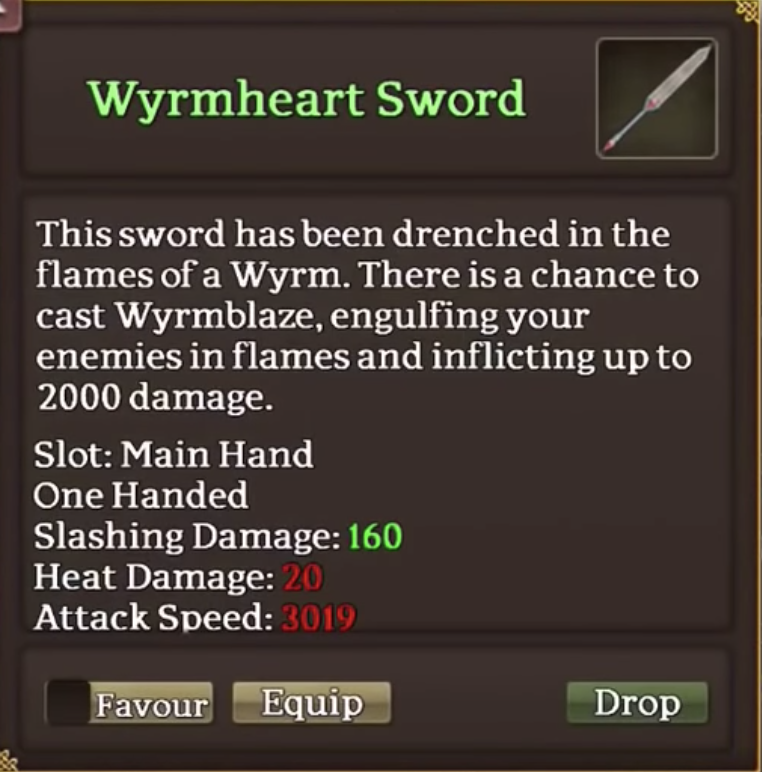 These drop from rare wyrmheart mages in the summoning chamber, spawning in the 4 corners that are on the road around 205 boss area. 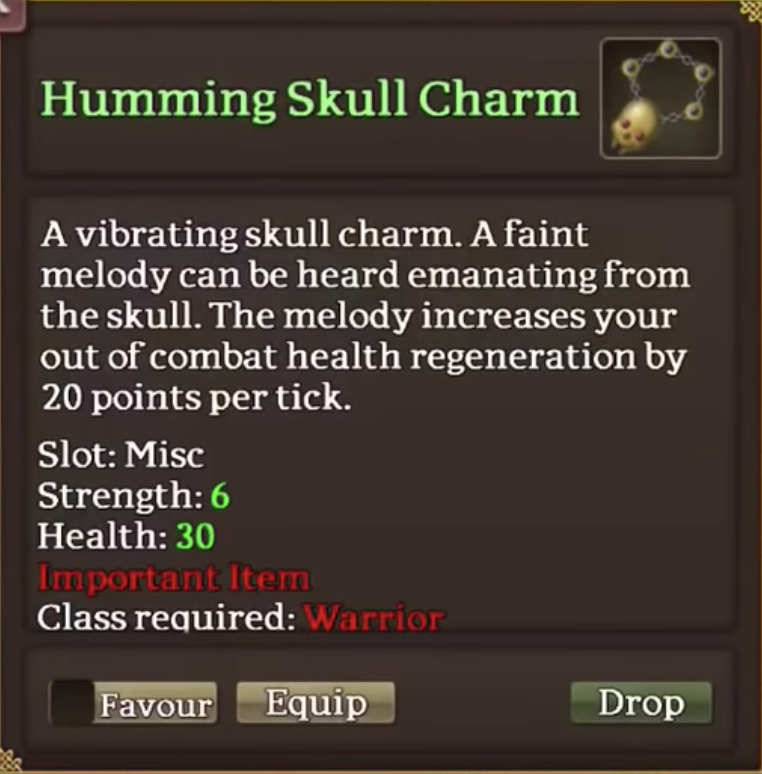 Possibly drop from other enemies as well. These drop from Eye of Unox, the 215 EDL adds. 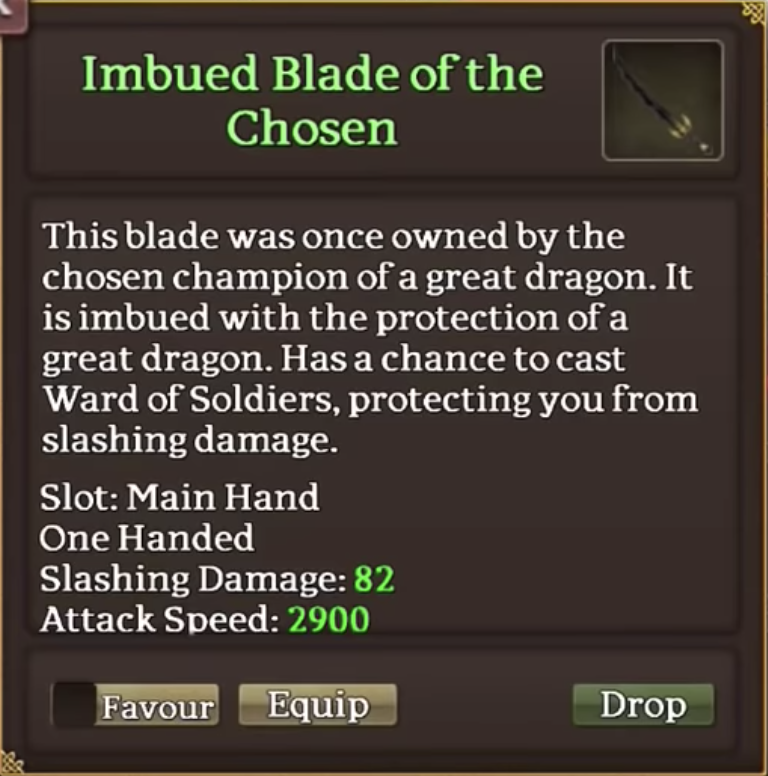 Possibly drop from other enemies as well, but all reports say they drop in Forbidden Halls. 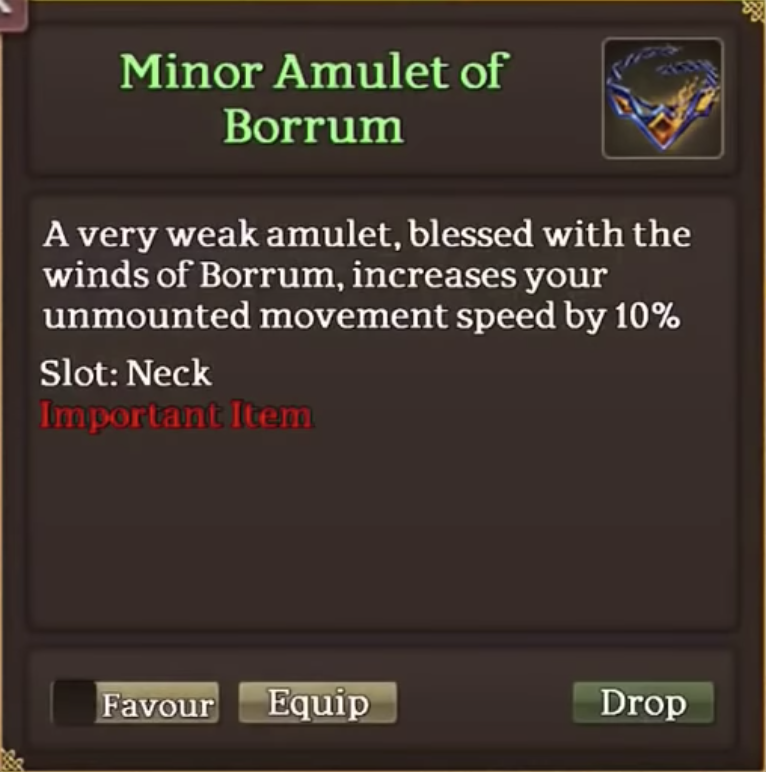 These drop from the 5* Bloodthorn roots. 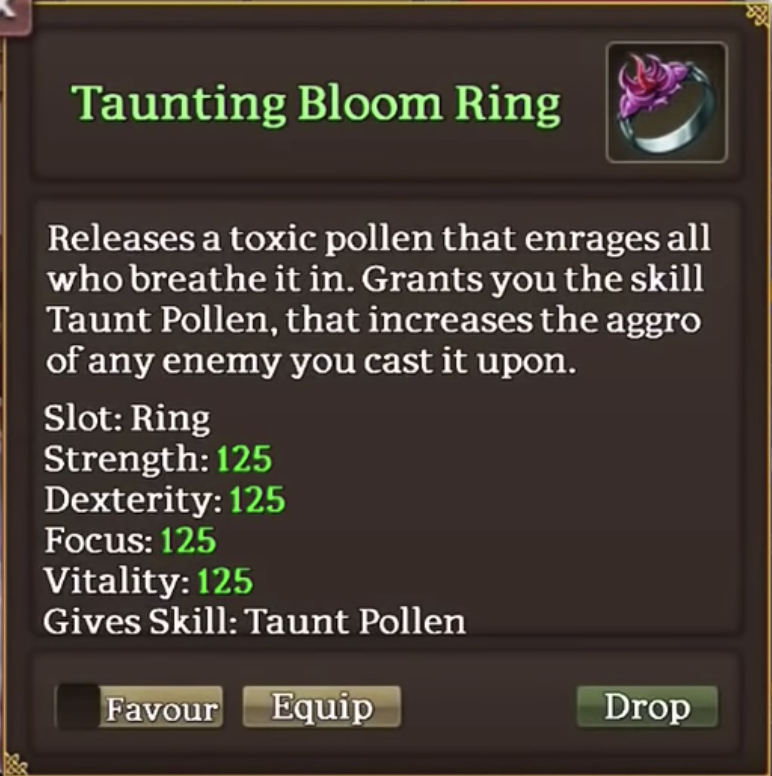 Possibly drop from other enemies in Gardens, but I personally think it is just the roots.. 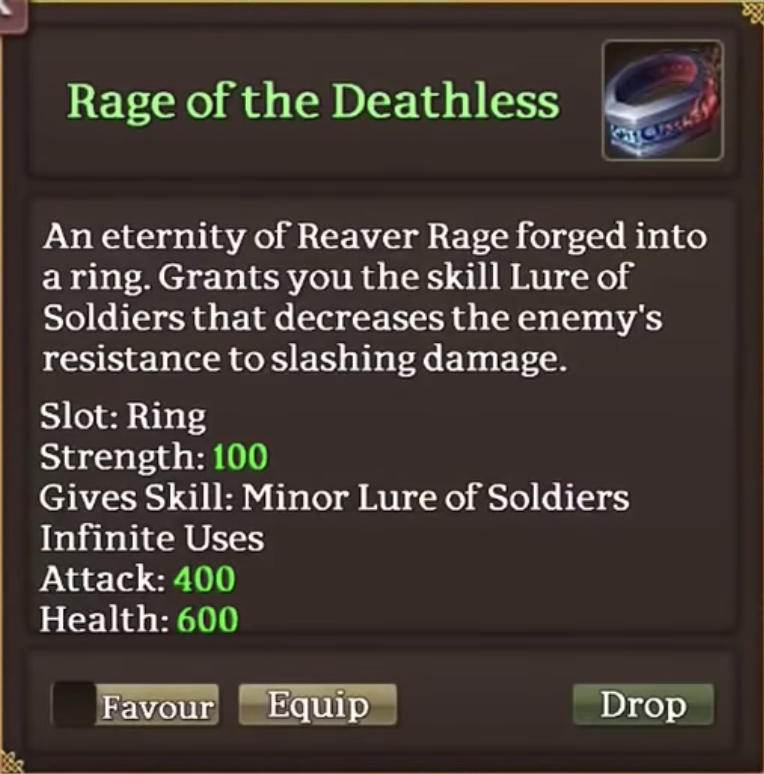 These drop from a rare 5* lich/reaver mob in Gardens. Exact location unknown. These drop from rare spawn bears in the Twisted Tunnels of FIngal's Cave..
No sure estimate on this one. 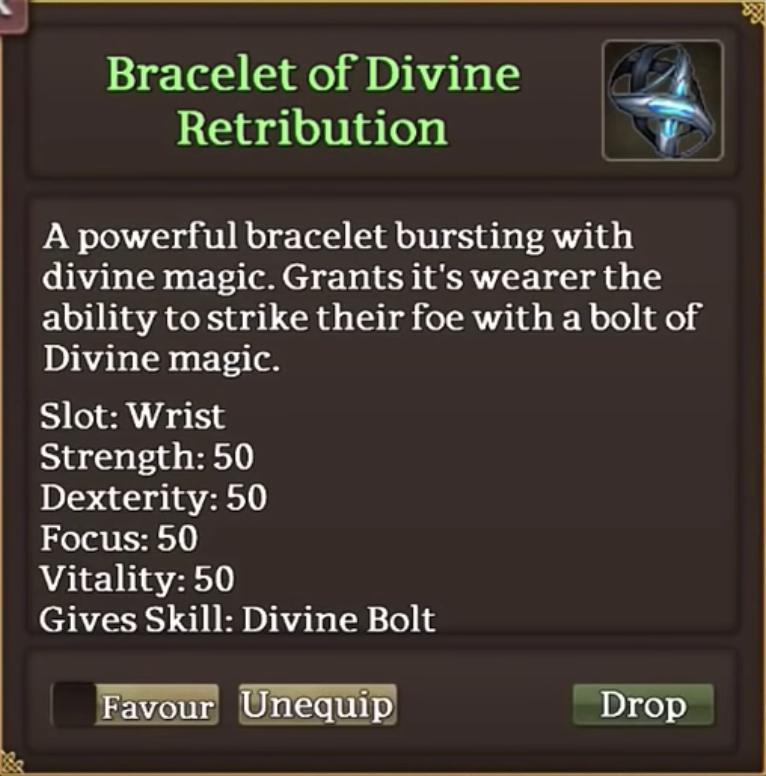 Low stat items and no requirement to wield, so definitely some humanoid NPCs in Lirs Reach or Crookback drop these. I'm leaning towards Crookback. Probably drop in the Otherworld from, respectively, a ghost in the ghost tunnel, a kelpie in the swamps, and a golem in the lava fields. 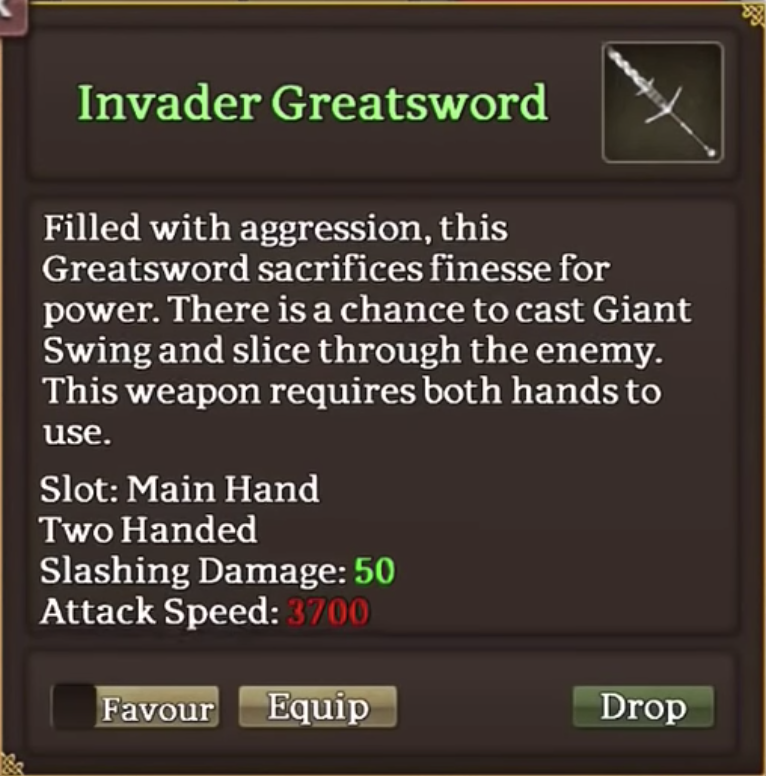 Probably drop from some NPC in Dustwither. No good estimate. Probably something in Fingals, maybe a bat. Almost certainly drops in Lir's Reach. 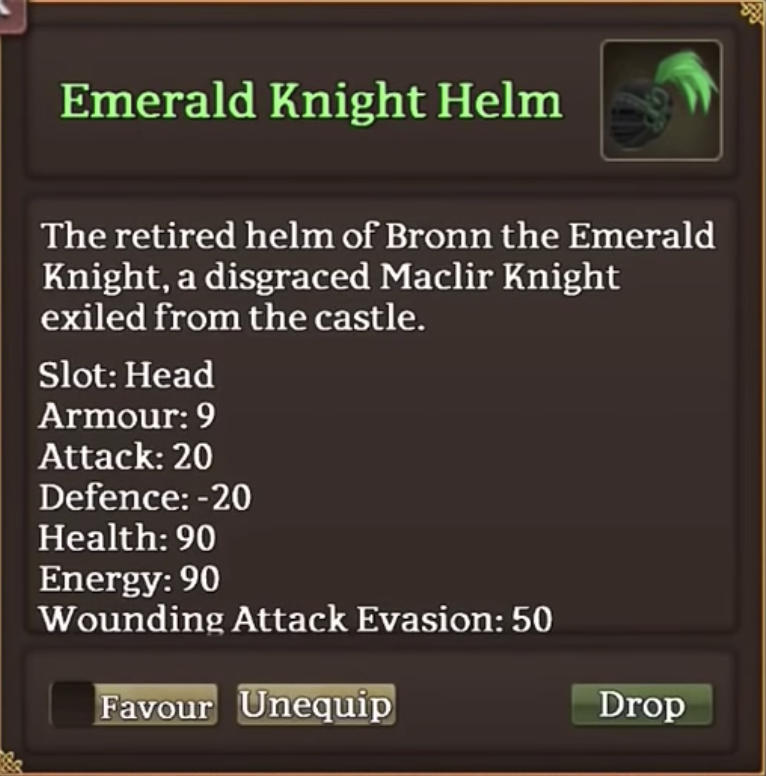 Sounds like from an NPC named Bronn the Emerald Knight. I'd guess somewhere in the Bandit Camp. Last edited by Jake on Sat Mar 02, 2019 2:26 am, edited 14 times in total. Jake wrote: @Schwing please confirm. Nope that's for you guys to do. Love your attitude towards everything. At least there not no trade, unlike their predecessors. 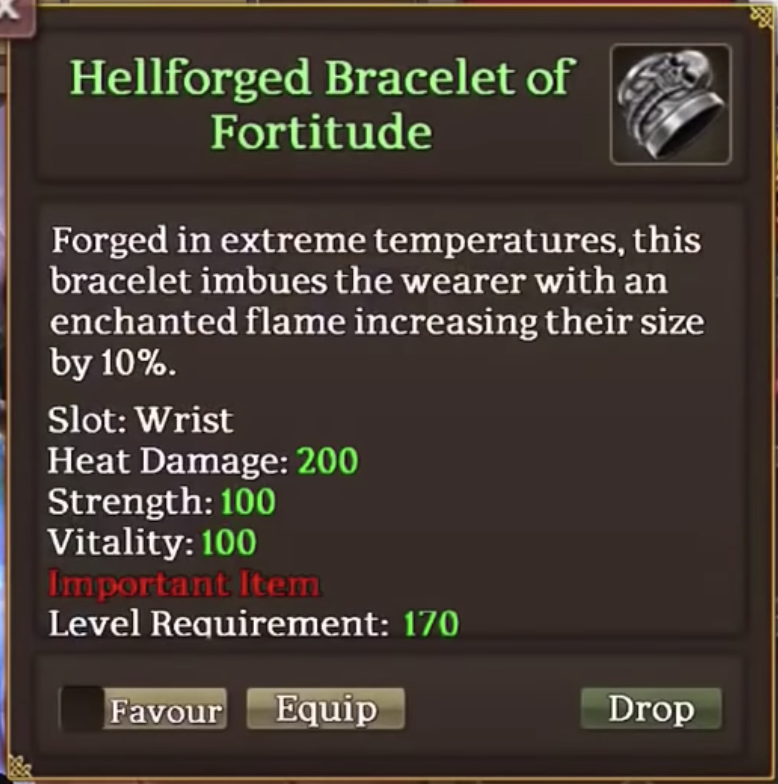 -For the similar weapons/ jewellery, does one boss drop them all, similar to the despoilers? xGAYLORDx wrote: At least there not no trade, unlike their predecessors. That's for us to find out he says. Don’t mean to be flippant but sometimes it’s nice to leave stuff in the game that needs to be figured out or found for yourselves. MMOs are about adventure and exploring after all. 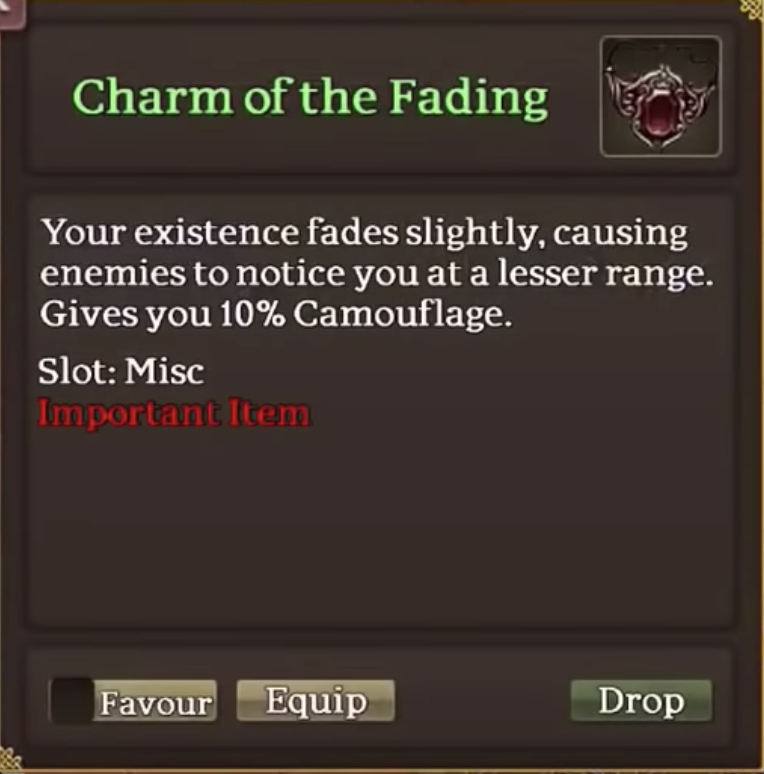 I would like to see new designs for new items. Of course it is easier to copy/paste. 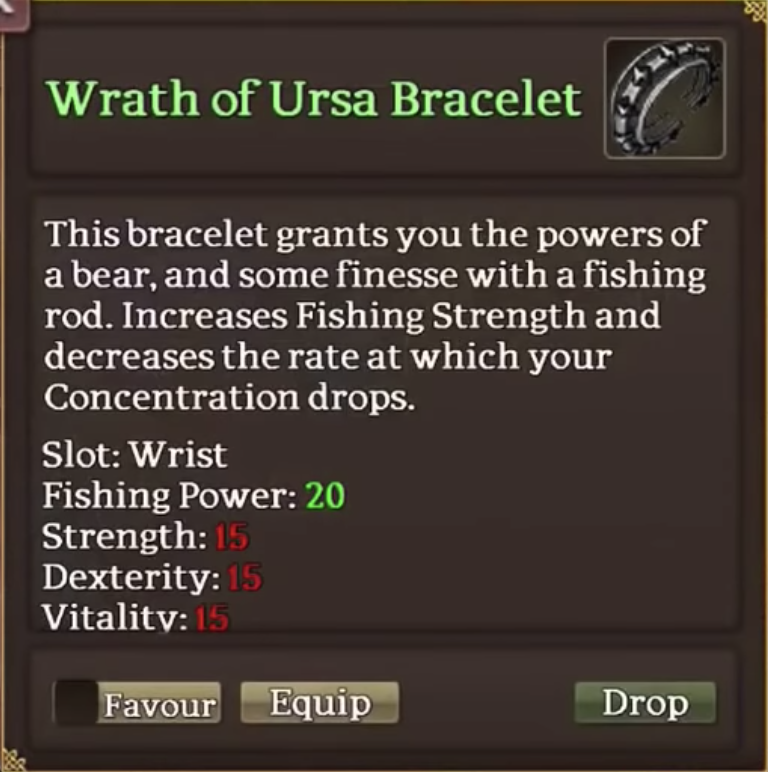 Making 3 different fishing braces with different stats didn't make sense to me. A fisherman doesn't need str, vit, dex etc.